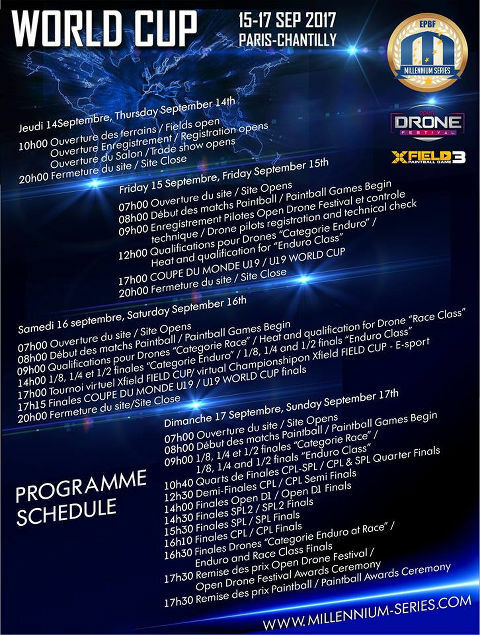 Here is the program for the event in Chantilly 2017, including Open Drone Festival and XField virtual Cup! 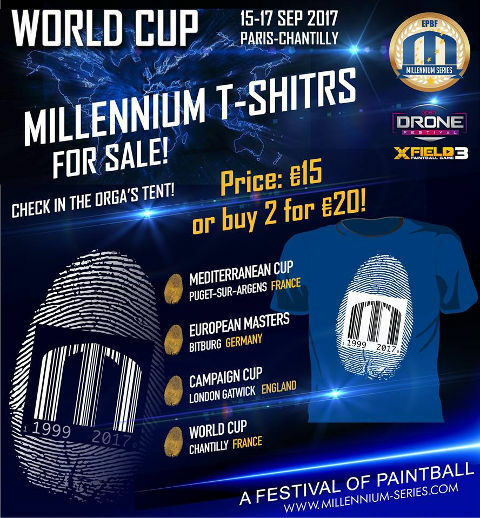 Check the Orga`s tent for the Millennium Series T-shirts! 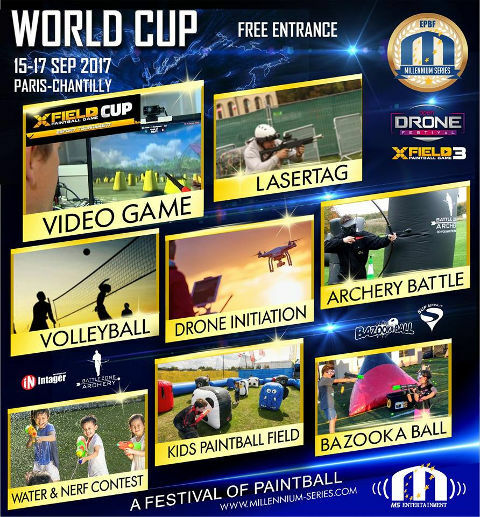 Including archery by Battle Zone, laser tag by Intager, volleyball, Drone Initiations, video games by XField and Kids Playground by Supairball, including nerf and bazooka ball! 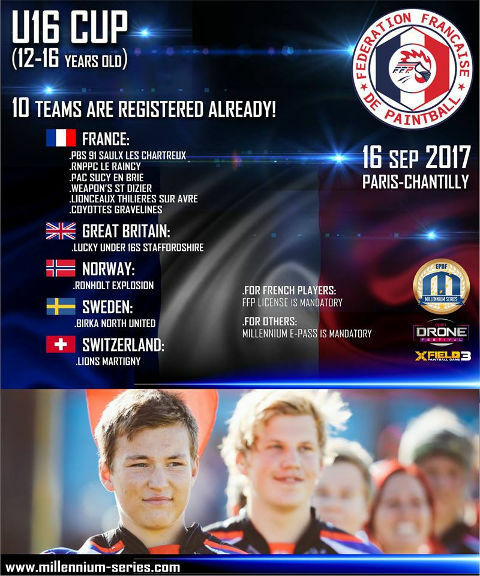 Just to remind you that we will have the U19 World Championship in Chantilly for players of 16-19 years old. 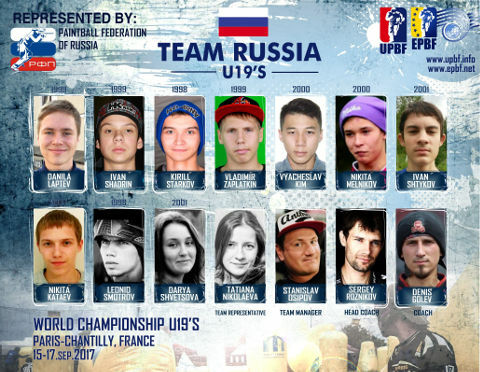 Russia is the first presented squad, there are also confirmed participants from France, Sweden, Poland, Italy, Norway, Great Britain and South Africa! 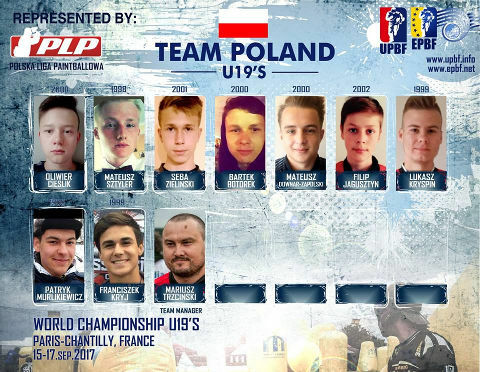 We welcome U19 team from Poland to participate! 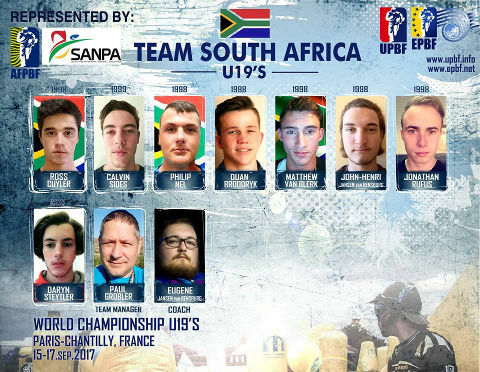 There is the U19 team from South Africa! 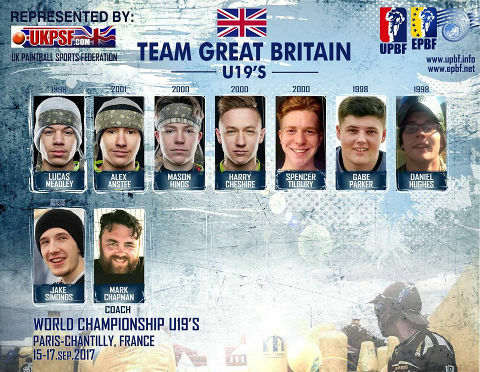 We`ve got a squad from Great Britain to participate in the World Championship U19! 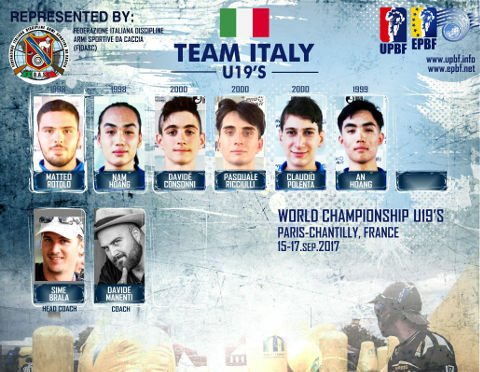 There is the U19 team from Italy! 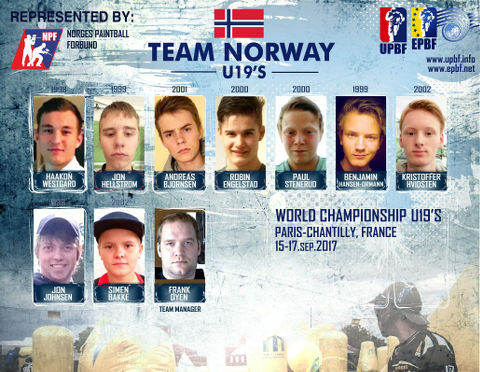 EPBF has updated the World Championship participants list with the U19 squad from Norway. 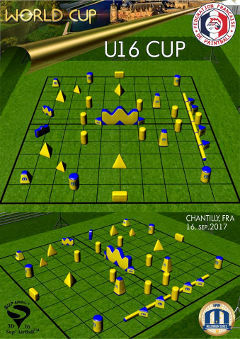 We will also have U19 from Sweden participating! 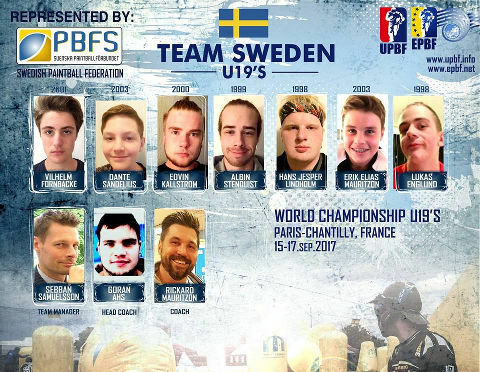 Sweden did not present the U19 team to the World Championships before, so for their youths this will be the first experience. 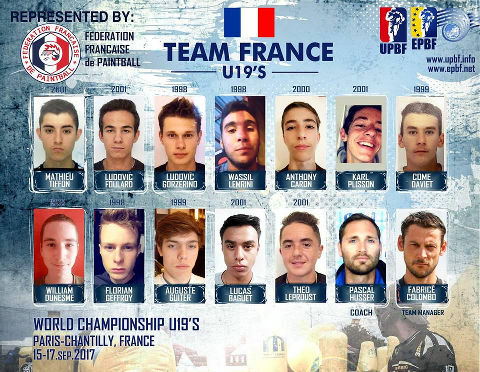 And here is the U19 team from France! Millennium World Cup, EPBF U19 World Championship, FFP U16 tournament (players 12-16 y.o.). 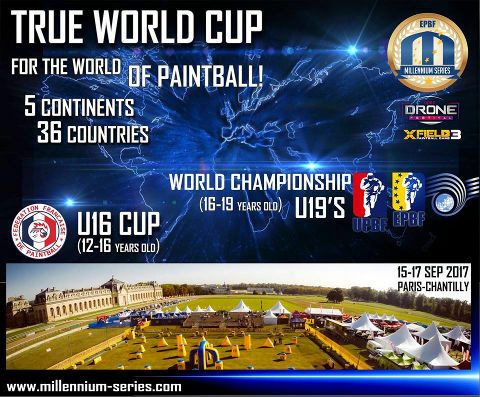 We expect to have about 160 teams again in Chantilly, or even more! You still can register you team online at www.pbresultsonline.com . Register your team at www.pbresultsonline.com now! We already have 10 teams registered for U16 Cup! 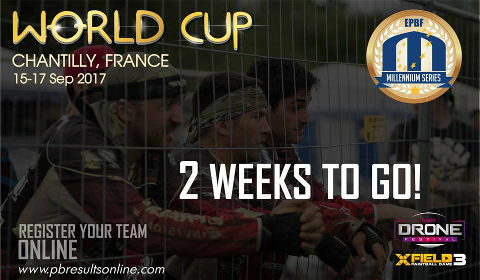 There are 5 countries represented: FRA, GBR, NOR, SWE and SUI... if you want to register a team, please contact FFP urgently at ffpadministration@paintball-france.com! We already have 150 registered for the event, so hurry up! We have only a few spots left! 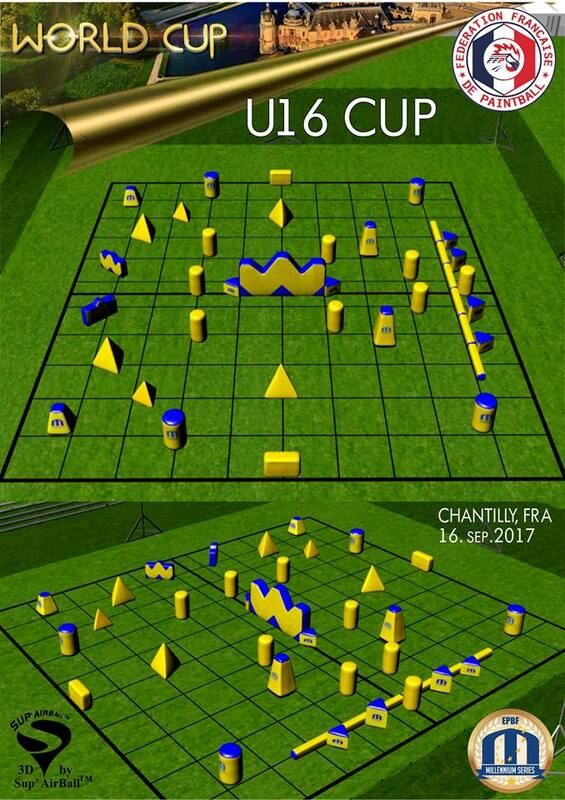 We are going to have the biggest international event in Chantilly on 15-17 September! 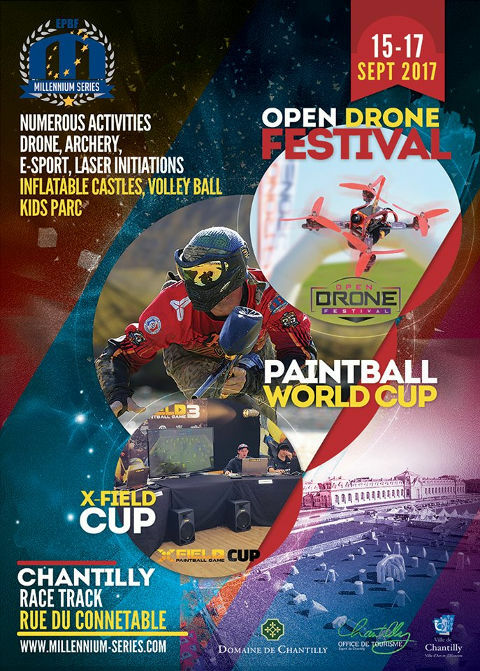 5 events are to be held at the same time: Paintball World Cup, World Championship U19, U16 Cup, X-FIELD CUP and Open Drone Festival! 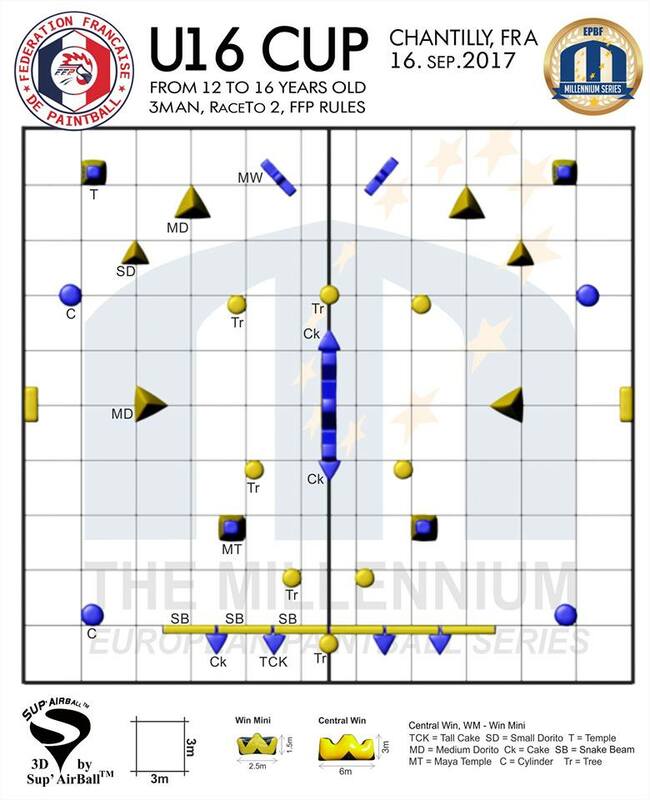 Attention: this is the field layout for U16 Cup, organized by FFP on 16 September for players 12-16 years old! 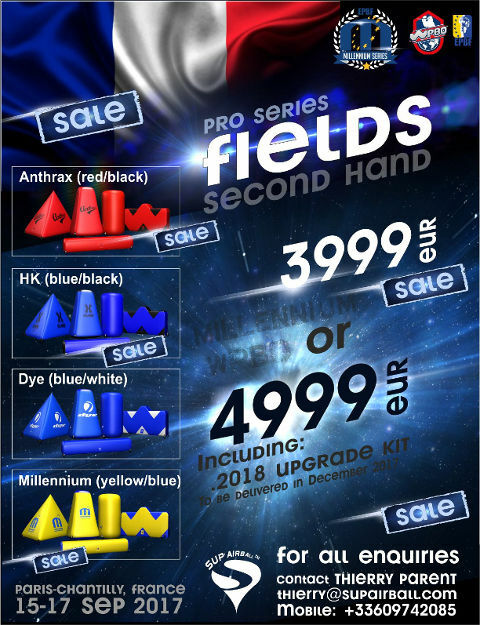 We have a big sale of the second hand fields by Supariball!